Looking for something? 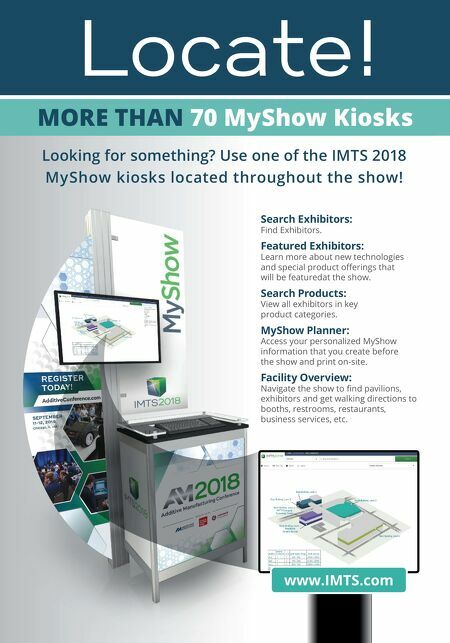 Use one of the IMTS 2018 MyShow kiosks located throughout the show! Locate! MORE THAN 70 MyShow Kiosks www.IMTS.com Search Exhibitors: Find Exhibitors. Featured Exhibitors: Learn more about new technologies and special product offerings that will be featuredat the show. 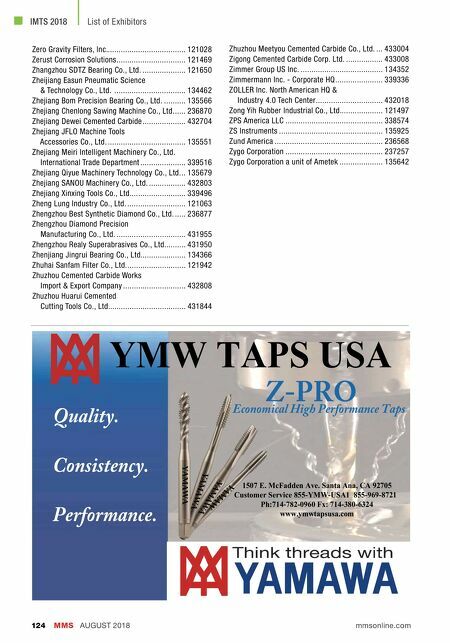 Search Products: View all exhibitors in key product categories. MyShow Planner: Access your personalized MyShow information that you create before the show and print on-site. Facility Overview: Navigate the show to find pavilions, exhibitors and get walking directions to booths, restrooms, restaurants, business services, etc.